Cowboys at Eagles: Last Chance for Offensive Line to Save Season? The Dallas Cowboys have their backs to the wall in hostile territory on Sunday night, in need of their first road win at the Eagles just to improve to 4-5 through nine games. There are countless reasons why these 2018 Cowboys have underwhelmed so far. When stacked against tonight's opponent, the defending Super Bowl champions, the Cowboys come out looking even worse - despite Philadelphia being only .500 at 4-4. 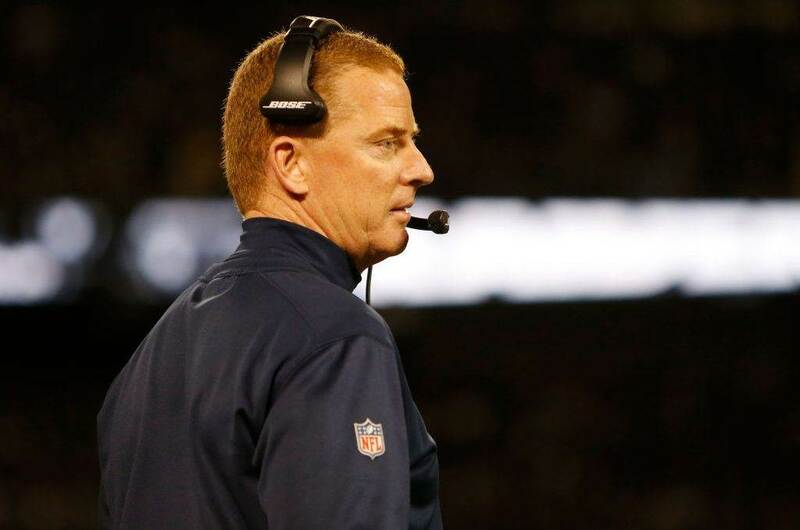 Forget about the Dak Prescott vs. Carson Wentz perspective, as well as the conservative Jason Garrett vs. trendy Doug Pederson, and focus solely on what's made the Cowboys a successful team in recent years. 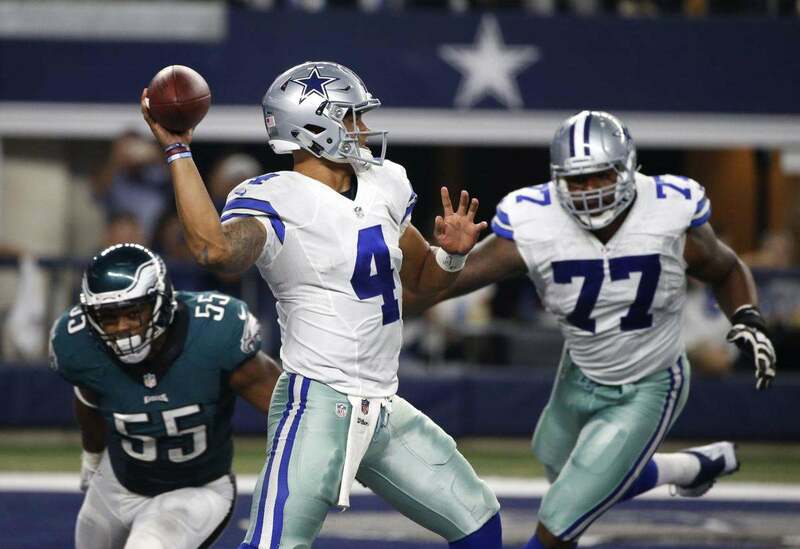 An offensive line once regarded as far-and-away the best in the league has clearly regressed, compounded by Dak Prescott's tendency to hold onto the football too long while struggling to sense pressure. Tyron Smith has shown signs of mortality this season after missing four games last year. Without Smith, the Cowboys didn't stand a chance up front, and alarmingly the same can be said about too many snaps with #77 in the lineup this year. Rookie Left Guard Connor Williams, who might as well have been floating through AT&T Stadium after hearing his name called by the home team on draft day, has certainly not experienced the dream he hoped of playing between Smith and Travis Frederick. Accompanying teammates aside, Williams has been inconsistent in his transition from tackle to guard, and is far from the only weak point that opposing defenses attack this Cowboys offense at. The long-term outlook for Williams at LG is still high, but on a team with short-term goals left to capture, his level of play has been a disappointment. Center Joe Looney has filled in admirably for Travis Frederick. 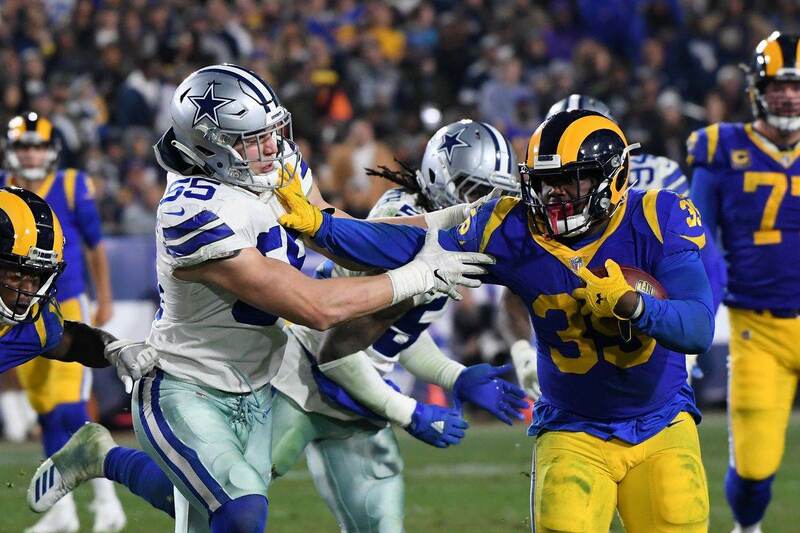 Lacking the leadership ability that Frederick possessed as the anchor to the Cowboys OL, Looney can be asked to do little more than block the man across from him, something he's doing at a high level. 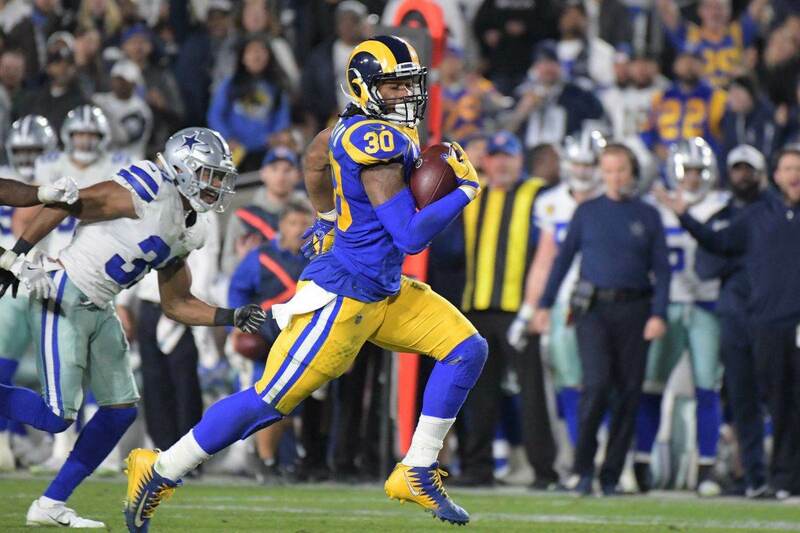 Just how much the Cowboys want to put their offensive struggles on the drop in performance between Looney and Frederick will say a lot about the direction of this team after 2018. Right Guard Zack Martin has been his usual self, the best guard in football blocking his way through what could be another wasted season as early as Monday morning. Next to him, in his second year at right tackle, La'el Collins has not taken another step forward. As the opposite bookend to Smith, Collins has allowed far too many rushers to collapse the pocket, giving Prescott nowhere to go. There is blame to go around from the very top all the way down for the way the Cowboys have played. One thing this organization is on the same page about is the commitment to offensive line play though, and without it there's no hiding the flaws that have sent the Cowboys to two straight losses. The Cowboys have looked so inept compared to other teams at times that it's easy to lose sight of the weaknesses for any opponent, especially the Eagles. Fletcher Cox, Michael Bennett, Chris Long, Derek Barnett, and Brandon Graham make up the best defensive line this battered Cowboys front will deal with all season. Perhaps the Cowboys will be a week late in coming out as a desperate team with a season to save, faltering at home under the same mentality off the bye to the Titans. Should another week with Marc Colombo as their coach help this unit improve though, the Cowboys can take advantage of the Eagles back seven. Cowboys OC Scott Linehan: "Everything we're about is ownership and accountability this week. I fully own that we haven't been good enough offensively. It starts with me. Offensive Coordinator Scott Linehan said this week that the Cowboys poor play on offense "starts with him". To his defense, scheming an offense that doesn't protect the QB or get to the second level in the run game is difficult. Linehan is surely feeling pressure to come into Sunday night with a game plan to attack this aggressive Eagles defense. Starting cornerbacks Sidney Jones and Jalen Mills are both out for this contest, leaving Ronald Darby and Rasul Douglas to deal with Amari Cooper, Michael Gallup, and (if the Cowboys remember he's on their side) Cole Beasley. Getting to a battered Eagles secondary will take an epic performance from the Cowboys offensive line in their "last stand". It's been years since writing about the Cowboys OL as a concern coming into a divisional game was a legitimate query. To be more precise, it's been three years since the Cowboys have earned less than three wins by week ten, in a forgettable 2015 season quarterbacked primarily by Matt Cassel and Brandon Weeden. Dak Prescott deserves a chance to prove he can still be the guy in Dallas, but with a trip to Atlanta following tonight's game, another loss could put Prescott on the fast track to being as big a bust as 2015's passers. There are too many battle-tested linemen blocking for Prescott to allow this to be the case. As the Cowboys offensive line responds to adversity tonight, so to will the team, and this starting five must give the Cowboys a chance to get the ball downfield. Tell us what you think about "Cowboys at Eagles: Last Chance for Offensive Line to Save Season?" in the comments below. You can also email me at Sean.Martin@InsideTheStar.com, or Tweet to me at @SeanMartinNFL! Cowboys Wishlist: Will Amari Cooper Outplay Golden Tate?